Zadie is a decorative headline font inspired by cast ironwork from the Edwardian-era. 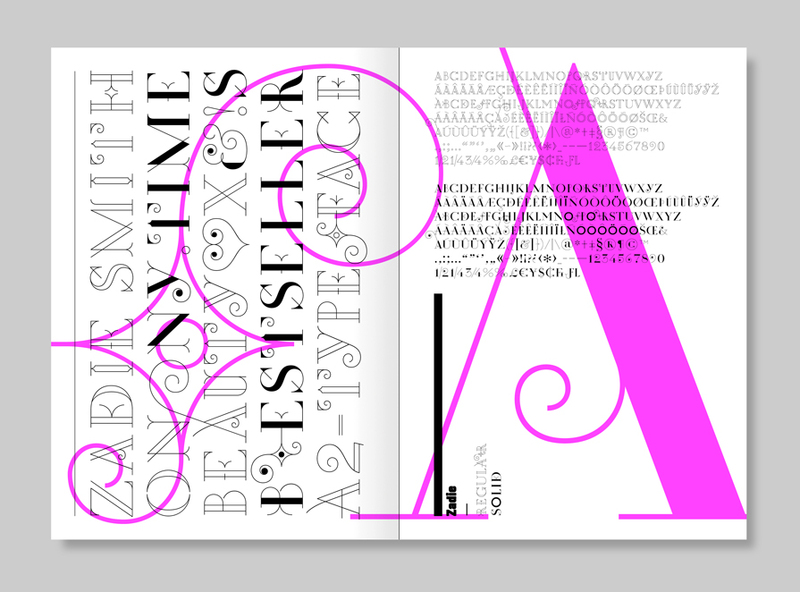 An early version of the typeface appeared as a display font in Vogue UKs winter issue in 2005. Penguin Press, New York, subsequently commissioned a cut of the typeface for our cover design of Zadie Smith’s novel ‘On Beauty’. Zadie is available in 2 styles: Regular and Solid.